Vitamin D helps to support the health of bones, muscles, teeth and the normal function of the immune system, making it an essential to include in our day to day diets. 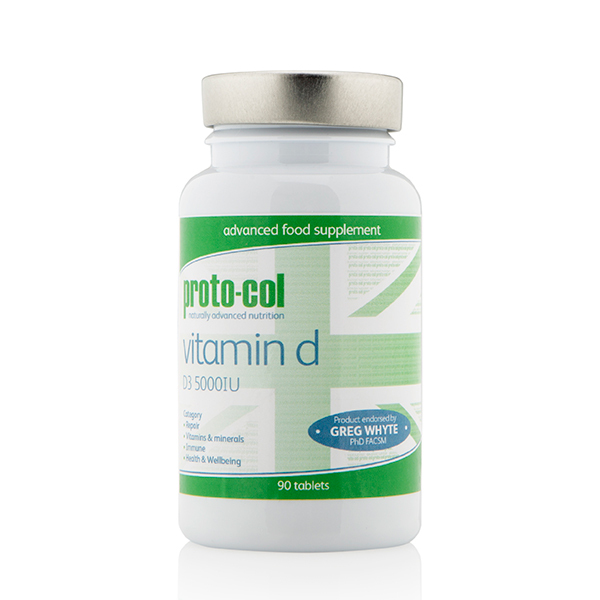 However, it can be difficult to get a beneficial amount of vitamin D from food alone, which is where the proto-col Vitamin D tablets come in. Made with as much as 5000iµ per serving, these high-strength tablets help to support the body’s vit D production and have been created with vitamin D3, which has a greater absorbency rate with consumption. They’re easy to swallow, suitable for vegetarians and free from lactose, dairy and gluten. This pack includes 90 tablets, which is the equivalent to three month’s supply. Take one per day.